That was some great TV from the 1960s. But an arti­cle on “Inno­va­tion Star­va­tion” by Neal Stephen­son (@nealstephenson), recent­ly pub­lished by World Pol­i­cy Insti­tute [link], is every bit its match. Stephen­son is the author of numer­ous books, and this essay demon­strates his gift for writ­ing. His basic the­sis is that the soci­ety that launched moon mis­sions and oth­er breath­tak­ing inno­va­tions has shrunk its appetite (and abil­i­ty?) to take BIG risks. It’s a case, he argues, that peo­ple no longer explore their wild ideas because the inevitable, quick Google search to check whether the ideas are nov­el will inevitably yield some­thing sim­i­lar. And, whether that sim­i­lar idea was suc­cess­ful or not, what mod­ern man­ag­er will bankroll any inno­va­tion that’s already been done? Inno­va­tion can’t hap­pen with­out accept­ing the risk that it might fail. The vast and rad­i­cal inno­va­tions of the mid-20th cen­tu­ry took place in a world that, in ret­ro­spect, looks insane­ly dan­ger­ous and unsta­ble. Pos­si­ble out­comes that the mod­ern mind iden­ti­fies as seri­ous risks might not have been tak­en seri­ous­ly — sup­pos­ing they were noticed at all — by peo­ple habit­u­at­ed to the Depres­sion, the World Wars, and the Cold War, in times when seat belts, antibi­otics, and many vac­cines did not exist. Com­pe­ti­tion between the West­ern democ­ra­cies and the com­mu­nist pow­ers oblig­ed the for­mer to push their sci­en­tists and engi­neers to the lim­its of what they could imag­ine and sup­plied a sort of safe­ty net in the event that their ini­tial efforts did not pay off. A griz­zled NASA vet­er­an once told me that the Apol­lo moon land­ings were communism’s great­est achieve­ment. 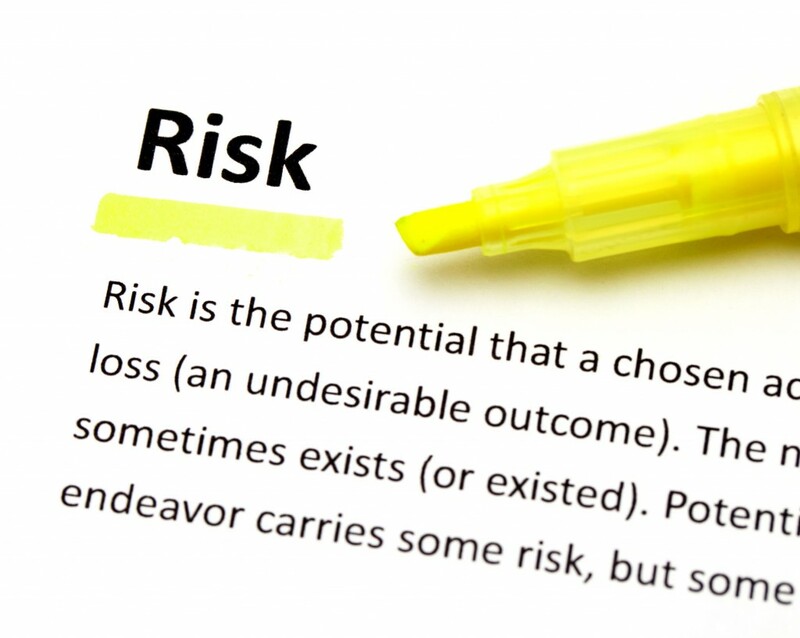 Elim­i­nat­ing risk is the wrong objec­tive. Every­one knows there is a pre­mi­um for accept­ing risk and man­ag­ing it well. Com­pa­nies are formed to accept and man­age a lev­el of risk con­com­mi­tant with their promise to investors. Ven­ture Cap­i­tal­ists look for, and on occa­sion get, a 10x return pre­cise­ly because that is the busi­ness they are in. Per­haps many com­pa­nies are flag­ging now because they are not will­ing to put cap­i­tal to the ven­tures of their own future lead­ers. Back­ing only “sure-thing” ideas is myopic. Cer­tain­ty, along with con­trol, is most often noth­ing more than an illu­sion regard­ing the true nature of inno­va­tion, an illu­sion that any good inno­va­tor avoids at all costs. Noth­ing can be more dam­ag­ing (dare I say, risky) to an enter­prise than believ­ing you know some­thing when you do not. March­ing ahead with a list of spec­i­fied unknowns is nat­ur­al and part of the inno­va­tion adven­ture. This is where risk (which has cal­cu­la­ble out­comes) and uncer­tain­ty (which does not) must be under­stood as dis­tinct from can’t-fail cer­tain­ty. Inno­va­tion, done right, is an adven­ture. An exam­ple I often share with exec­u­tives is that of a gambler’s die; it has six sides, six dis­tinct num­bers, and you can cal­cu­late the prob­a­bil­i­ty of get­ting any one of the num­bers (one in six). Uncer­tain­ty, on the oth­er hand, has no known prob­a­bil­i­ties; and, as such, you do not know the num­ber of sides on the die, whether it has num­bers or not, and there­fore can­not cal­cu­late pos­si­ble out­comes. This is why fore­cast­ing is a fool’s game when deal­ing with uncer­tain­ty. You are try­ing to use a tool of the risk man­ag­er to deal with uncer­tain­ty, and the only sure thing is that your fore­cast will be wrong, at least to some extent. There is, per­haps, cause for opti­mism. The field of man­age­ment has slow­ly but sure­ly start­ed to embrace the well-test­ed tools of oth­er fields such as design and entre­pre­neur­ship, which are intend­ed to deal with the very uncer­tain­ty that fright­ens man­agers into tak­ing the known path to incre­men­tal inno­va­tion. Sim­ple things like observ­ing cus­tomers in their con­text, under­stand­ing the tasks they are try­ing to accom­plish, and cre­at­ing and con­duct­ing small and inex­pen­sive exper­i­ments as fast as pos­si­ble are all tech­niques of the inno­va­tor. Now, if com­pa­nies can only start apply­ing such tech­niques to ideas that are more bold, more dar­ing, and packed with more poten­tial for major change, per­haps inno­va­tion star­va­tion will be no more. For at least 70+ years, cor­po­rate lead­ers have emu­lat­ed the effi­cien­cy and prof­itabil­i­ty of the pro­duc­tion line of Mod­el-A cars. I take heart that a new the­o­ry of the pur­pose of a firm, that of effi­cient inno­va­tion, is emerg­ing, albeit slow­ly. Risk, after all, is our busi­ness.